Hi Lia and Team, love the project! Did you happen to create an SVG file to cut these on the Cricut Maker? Wanted to try out the rotary cutter on it. But if not, by hand it will be! 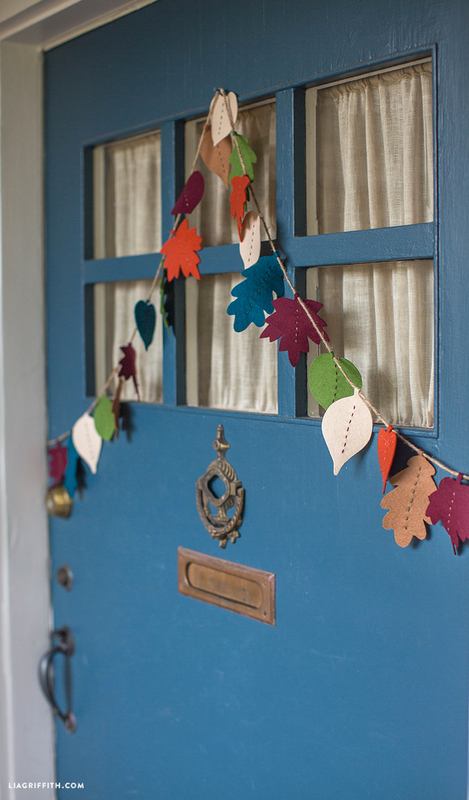 Will you please share the colors of felt you got from Felt on the Fly for this garland? I would like to order from them. Thank you! We used Fern, Merlot, Kraft, White, Carrot, and Ocean Blue. Thank you! 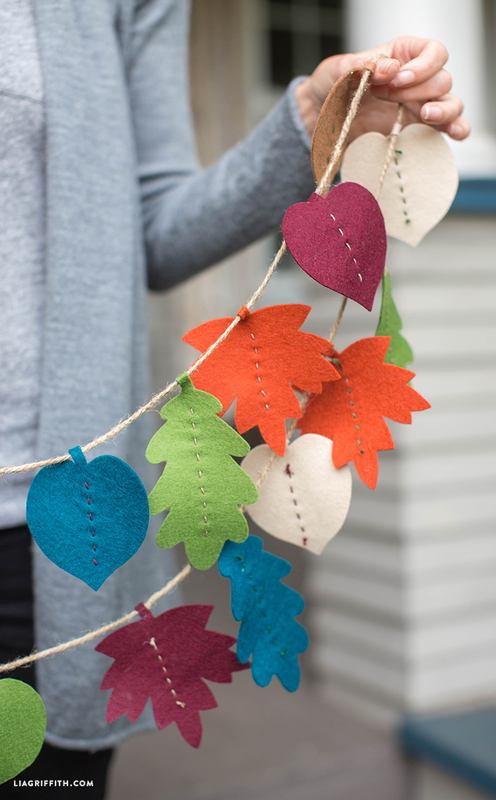 Just got my order, and I am working on the Leaf Garland today! I’ll post pics on Instagram. 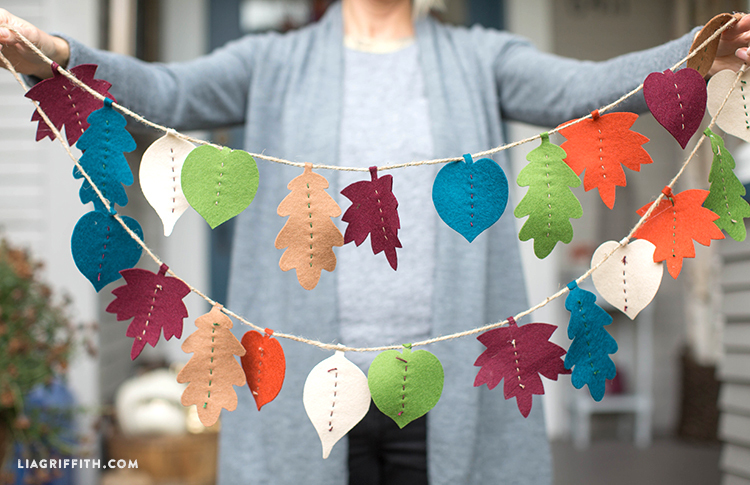 Made all the felt leaves yesterday/last night had felt colors I needed, substituted a heather brown for the whites, haven’t sewn middle line on leaves, might not. Just leave them as is. 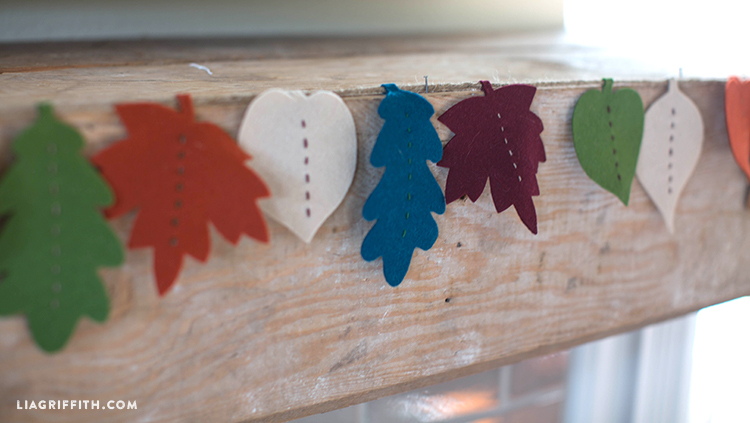 Have so many other paper decorations to make hand sewing line in middle of all those leaves doesn’t seem as important. Was so glad I had so many colors of felt. Can sure tell difference between yardage felt to those little pieces bought separately, pretty flimsy, feel of them are limp. Maybe use paint pen on leaves for middle vein. I love the colors! This is beautiful and fun! Wish our weather would get wintery finally. Tired of warm delightful days, lol. Good thing we don’t live in San Diego or Tucson anymore. I love wintery cold snowy days. For some reason, wintery days inspire me to keep on creating lots of projects. Happy week Lia and company. There is definitely something about sitting inside warm and cozy crafting while looking out at the beautiful snowy landscape.